Researchers at Emory University have found that depressed patients who have not responded to multiple antidepressants exhibit evidence of increased inflammation. Findings were recently published online in the journal, Psychoneuroendocrinology. The study shows that antidepressant treatment resistance is associated with increased inflammatory markers in patients with depression. One third of patients with depression fail to respond to currently available antidepressant medications. Previous studies among laboratory animals have shown that inflammation has effects on the brain that can undermine the effectiveness of conventional antidepressants. This is one of the first studies in humans that confirms these findings. "Our study suggests that measuring inflammatory markers and targeting inflammation or its downstream effects on the brain may benefit patients with multiple failed antidepressant treatment trials during their current depressive episode," says senior author Andrew H. Miller, MD, William P. Timmie Professor of Psychiatry and Behavioral Sciences, Emory University School of Medicine. 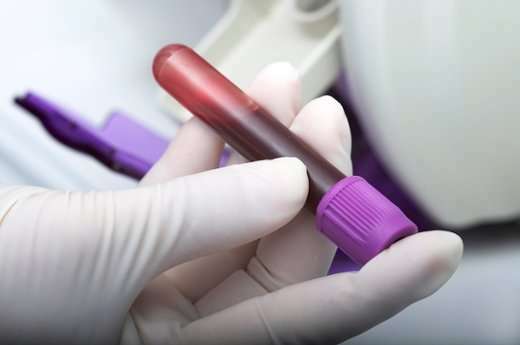 Levels of inflammation can be easily measured by simple blood tests, like C-reactive protein (CRP), readily available in clinics and hospitals throughout the U.S.
Miller says if a patient's inflammation level is high (CRP>3mg/L), drugs that affect dopamine such as bupropion may be more effective for their depression than drugs that affect serotonin, the usual drugs prescribed. "Patients who have tried and not responded to multiple antidepressants can ask their doctors if inflammation might be the cause. Ways to reduce inflammation include weight loss and exercise. Anti-inflammatory drugs are being tested for depression with some early promising results, but they are not approved for use at this time," says first author Ebrahim Haroon, MD, Assistant Professor of psychiatry and biomedical engineering at Emory University. During the study, researchers measured blood concentrations of inflammatory molecules in 98 unmedicated patients with depression who had experienced varying numbers of failed antidepressant treatment trials in their current depressive episode. Several inflammation molecules were associated with the number of failed treatment trials. For example, individuals failing two or three trials had significant elevations in the inflammatory cytokines tumor necrosis factor and its receptor as well as interleukin 6. CRP was also higher in individuals with a greater number of treatment failures, but only when obesity was not included in statistical analyses. Obesity is highly related to CRP. Depression affects approximately 10 percent of the adult population in the United States and is the leading cause of disability worldwide.